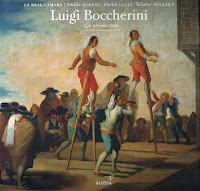 This sumptuous Spanish release presents four trios from late in Luigi Boccherini's career. The three players La real cámara actually come from three different countries: they are Spanish, Italian, and German—appropriate for Boccherini, an Italian who worked in Spain for much of his life in the late eighteenth century and had to contend with a musical world in which the center of innovation was shifting to far-off German-speaking lands. The very detailed and informative liner notes by violinist Emilio Moreno truculently disparage anyone who classifies Boccherini as a minor composer. It's better to let the music speak for itself, which it does reasonably well. The chief interest of these trios, as Moreno points out, is that they were written for the antiquated combination of two violins and a cello—but nevertheless manage to build large, late-Classical structures that introduce lots of variety and still hold together. The key is Boccherini's skilled writing for his own instrument, the cello. 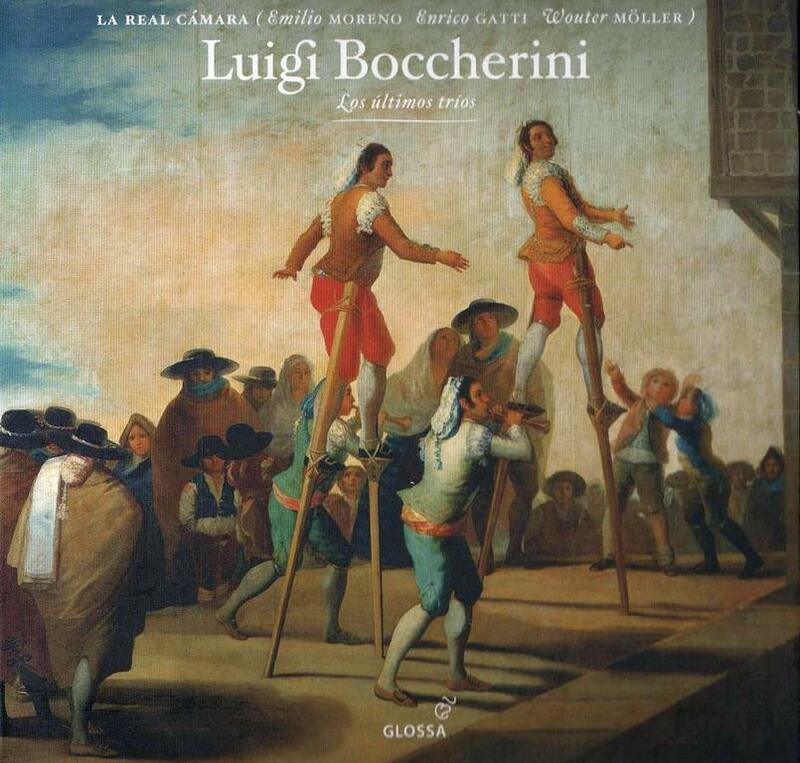 If you've heard one or two of the more famous Boccherini chamber works (like the quintet subtitled "La ritirata de Madrid"), you'll certainly enjoy the way Boccherini can make his cello sing sweetly or churn away in quasi-symphonic sounds in these works.